Forgive the crummy formatting here – not sure why the paragraphs are all wonky (meaning, you get none unless you drop cap something). 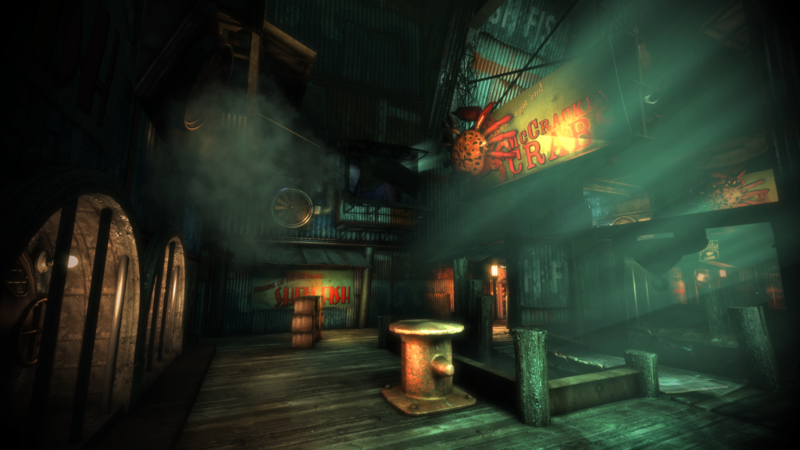 Anwyay, here’s today’s musings on BioShock. Mostly, it’s been a lot of fetch questing with some inconsistent arrow pointing. 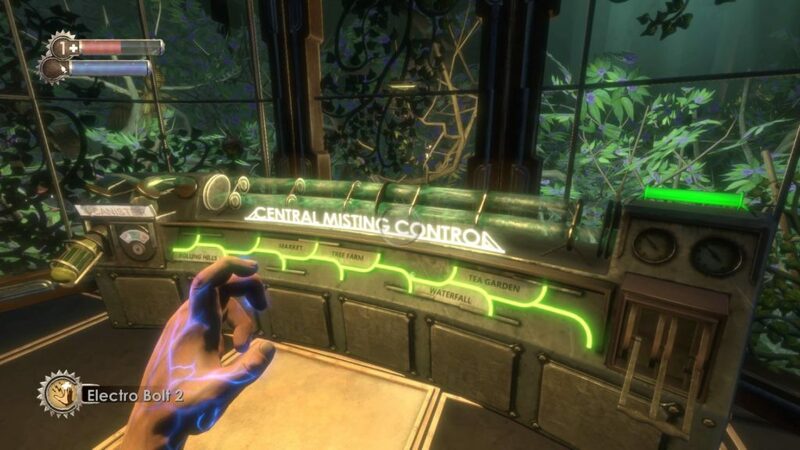 I like the way BioShock keeps me on track with the floating pointer in the center top of the screen, but when it goes away, I’m lost. The map is somewhat useful, but mostly for finding which areas I haven’t searched, yet. The story continues with “friend” Atlas shouting at me in his Irish brogue about saving his family, who I guess get exploded (it’s kind of quick and unclear). Then he’s out for revenge against Ryan, which makes sense. The final bit here is a brilliant bio-engineer who planted all the trees to keep the air breathable in Rapture. She dies (of course) and then you have to run all over the place to find a bunch of distilled water, chlorophyll, and enzymes, which exist as random drops or pickups hidden in various places. It’s alright, but mostly serves as a way to really up your game in managing all your plasmids and weapons. I died. A lot. The respawn mechanic in this game is pretty good for players like me – you die, end up in a Vita-Chamber, and can go back tot eh fight where the enemies haven’t cycled back up their health. It’s nice to be able to die and pick up the fight with a Big Daddy until you whittle its health down enough to kill it. The sense of place here is great, too. When you run through the underwater tunnels, you really get a sense that you’re, well, underwater. Looking out at the city through the transparent tunnel walls is stunning. 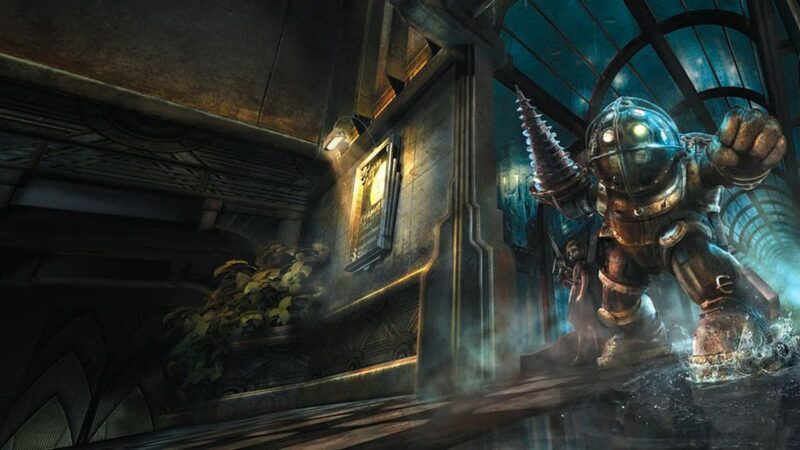 Now it’s time to hit the bathysphere and, as Atlas says, head to Ryan’s home. Wish me luck. The water still looks amazing, but the fire (especially in the crash sequence) looks dated. I still hate the way the hands look – not super realistic. The gameplay, however, is as joyous as ever. The controls are solid and easy to remember, the plasmids and weapons are fun to experiment with. The story? Still as interesting and intriguing as the first time. It’s been long enough I don’t remember the nuances. I’ve been running from battle to battle and only picking up the story audio diaries to listen to later, so I’m missing out on some of the subtleties, but I’m ok with it. The Save/Harvest mechanic feels a little simplistic, but I’m willing to commit to saving every last little sister. The animation where she struggles a bit, like a child taking gross medicine, then thanking me for saving her, has the same emotional impact it did when my kids were 7 and 5. I watched the Developer’s Commentary (basically an interview with Ken Levine and another team mate from BioShock and Infinite by Geoff Keighley of Mountain Dew ethics fame). You can find it just after the first Big Daddy fight. It’s fun listening to Levine talk about how little money he had and how unable he was to sell the idea of the game until Andrew Park at GameSpot came out and wrote up the demo. The age of journalists influencing game creation begins. I picked up the BioShock Collection on my PS4 for $15 a little while ago and now it’s time to play all these games again. I was 37 the last time I played the original title; now I’m 49. Let’s see how this series (which seemed so good in my memory) plays to me now, shall we? 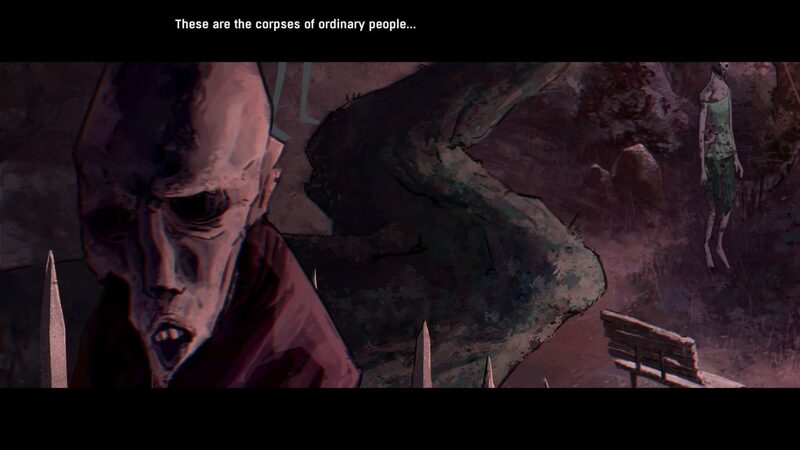 Not much gameplay footage here, but the art style really reminds me of 30 Days of Night‘s Ben Templesmith. Point and click games aren’t usually my jam, but BadLand Games is behind a couple of great ones for Telltale Games — Minecraft: Story Mode and Game of Thrones. Published by BadLand Games, Dead Synchronicity tells the story of Michael, a man with no past who must recover his identity and decode the two events that brought the world to the edge of collapse. The first is the so-called “Great Wave,” an inexplicable chain of natural disasters. The second is a pandemic that has turned humans into “the Dissolved,” infected beings with special cognitive powers whose sick bodies will eventually dissolve into blood. If Michael doesn’t hurry, he won’t be able to avoid the impending moment of “dead synchronicity” … when time itself starts to dissolve. The $19.99 Dead Synchronicity: Tomorrow Comes Today is ready for a download to your PlayStation 4, with a full-on box version set to show up Friday, October 7th. Still no confirmed release date for Xbox One, but we’re guessing it’ll be out soon. There’s nothing better than a game that’s both visually stunning as well as mechanically deep. 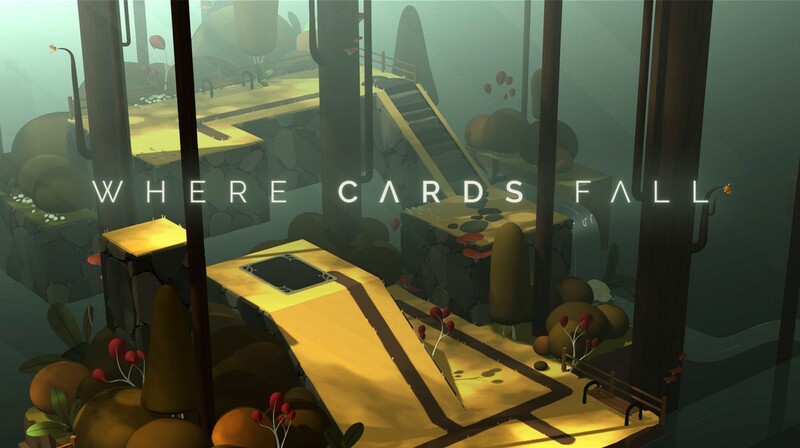 Where Cards Fall is an upcoming game from the folks behind Alto’s Adventure, and we’re super excited to get this first sneak peek. 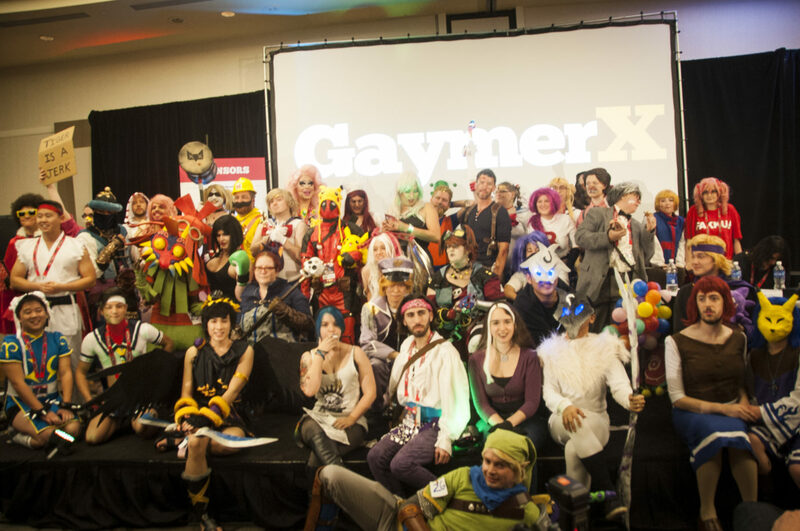 Click on through to The Portable Gamer below to see the whole, beautiful dream, then read to the end to find out where to enter to win a killer t-shirt. Love to see sci-fi games get off Earth. This has a definite Starship Troopers vibe, too. We’re excited. You? 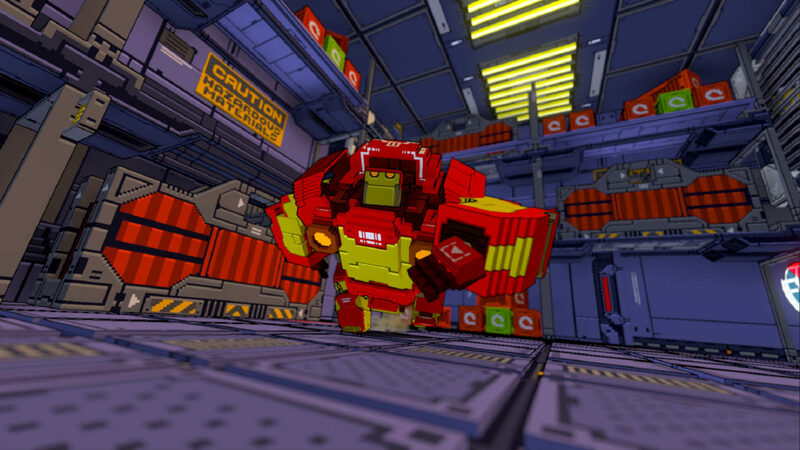 Giant robots and voxel graphics? Yes, please. It’s coming! More undead goodness from the geniuses at Telltale. Job Stauffer says season three of this amazing choice-based game is coming this fall. Yes! Excited? You bet we are. You might not have dug into Uncharted 4’s extensive set of accessibility features, but for fans with disabilities, they’re incredibly important. The reason Uncharted 4 has so many is thanks to a fortuitous meeting at GDC. 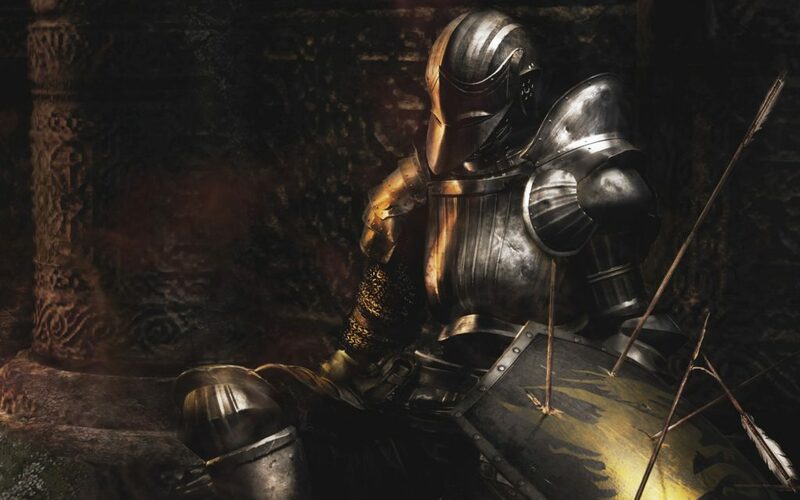 I’ve been at this a while – now that Dark Souls III is out, maybe it’s time to look back at 2009 me – writing about the first game in the series, Demon’s Souls. Still interesting to read, for me, anyway – boy was I wordy. A woman who is an exotic dancer is not below a woman who is a computer programmer, and we need to stop trying to force these beliefs on others. 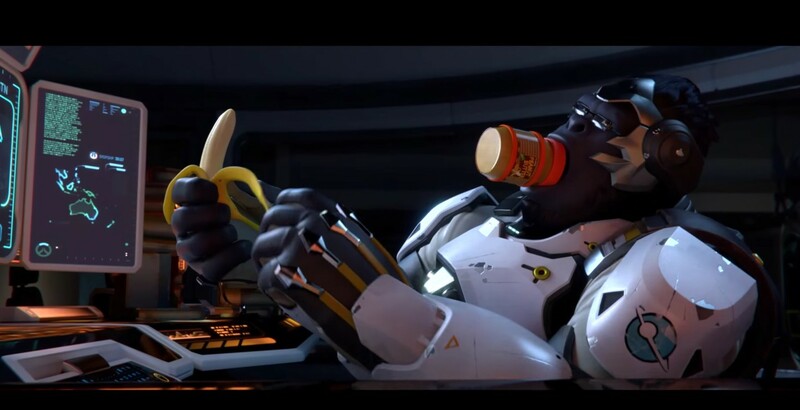 “Recall,” the first of four Overwatch animated shorts by Blizzard, is ostensibly only on Xbox One, but it’s also on YouTube, and embedded below. But I can’t help but ask myself, does any of this of any matter to the FPS crowd? Do we really need the backstory — however adorable — of any of the characters in Overwatch, when all we’ll be doing is shooting each other, capturing territory and flags, and the like? 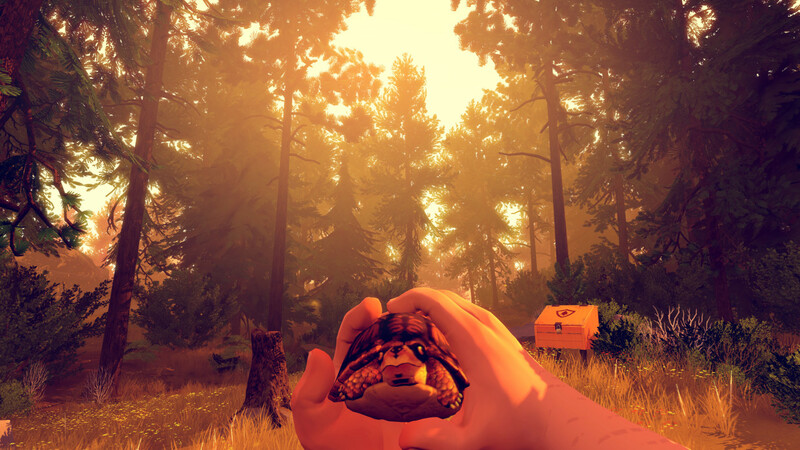 Firewatch is a fantastic first-person walker that will engage and entertain you long after you finish it. It’s fantastic to see it doing so well, commercially, as well. This can only bode well for the near future of games. When we realized that only the New 3DS hardware would run these older-than-many-gamers games from the Super Nintendo Entertainment System, we were hard pressed not to think of it as yet another cash grab by Japan’s venerable gaming company. I mean, how many portable Nintendo gaming systems do we really need? Today, however, Nintendo tells Game Informer that the reason you need new hardware is because the new hardware has a better CPU in it. To run games from 25 years ago. Ok. Adventure games: lots of humorous storytelling, delightful art, and a lot of annoying mechanics that should all just die in a fire. Am I right? 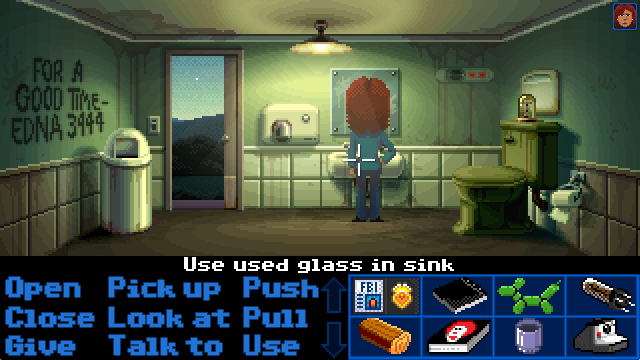 Thimbleweed Park, the upcoming adventure game from Ron Gilbert and Gary Winnick of Maniac Mansion fame, hopes to close the book on those crappy outdated old mechanics and get us back into adventure games. Here’s a little trailer to show you what they’re hoping to do. Why are upcoming Super Nintendo games limited to New 3DS models? Looks like SNES classics Pilotwings, Super Mario World, and F-Zero will be available today in the Nintendo eShop. 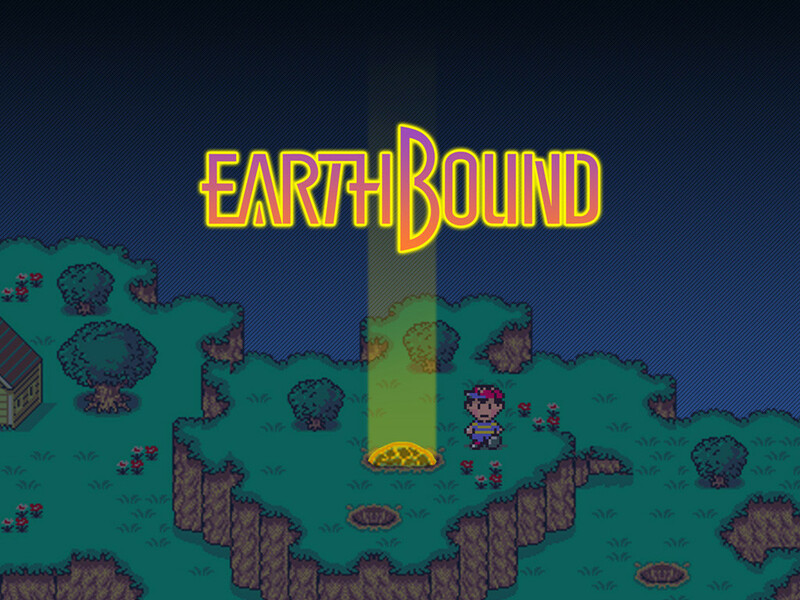 Super Mario Kart, Earthbound, and Donkey Kong Country will be available on March 24. The Legend of Zelda: A Link to the Past, Super Metroid, and Donkey Kong Country 2: Diddy’s Kong Quest will make it to your handheld on April 14th. 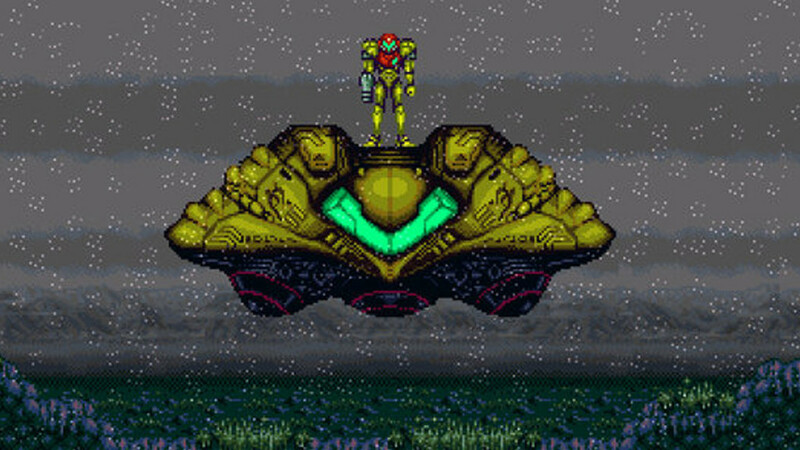 Why, though, will these older video games require Nintendo’s latest handheld hardware, the New 3DS and the New 3DS XL? 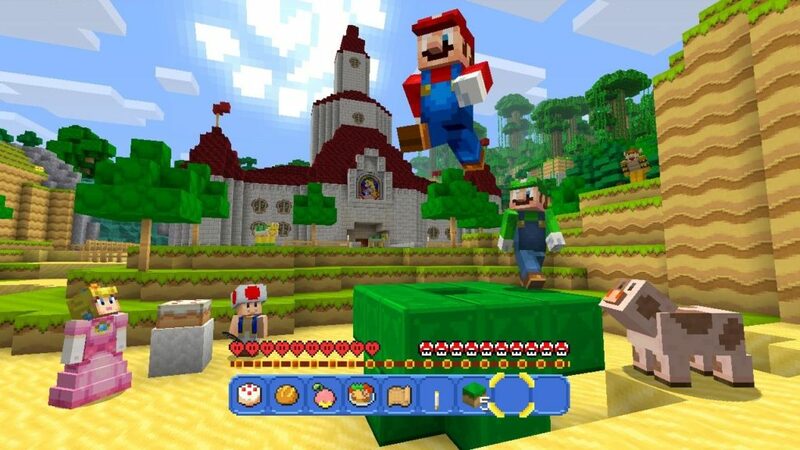 During today’s Nintendo Direct announcement, Nintendo said that the games will feature a “Pixel Perfect Mode,” which will let the games to be played in their original resolution. I’m unsure why “older” hardware, like the 3DS, 3DS XL and even newer 2DS won’t be able to run these games. Is it Nintendo trying to push us to all get a New 3DS? Is there some technical reason? Happy 20th, Resident Evil! Now where are our presents? Oh, hey! They’re right here! 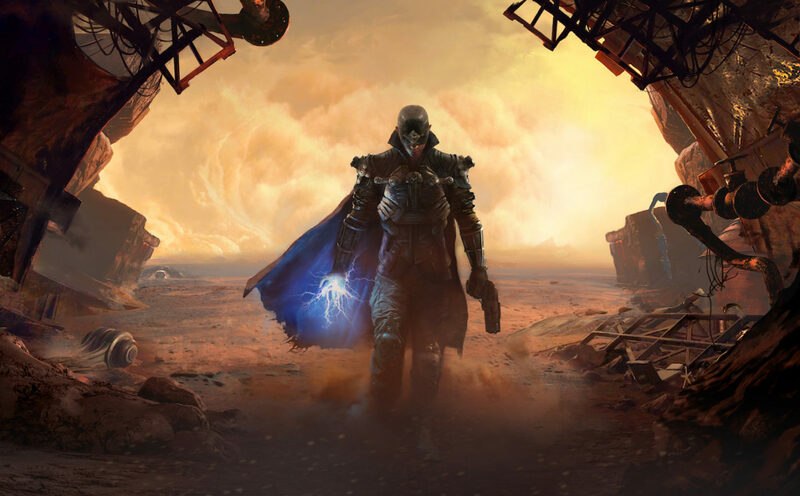 You can save up to 75 percent over at the Playstation Store, with RE titles available for both PS4 and the PS3, which really is still a very capable machine. Check out the sale if you have a mind to, and remember to carry lots of herb with you. 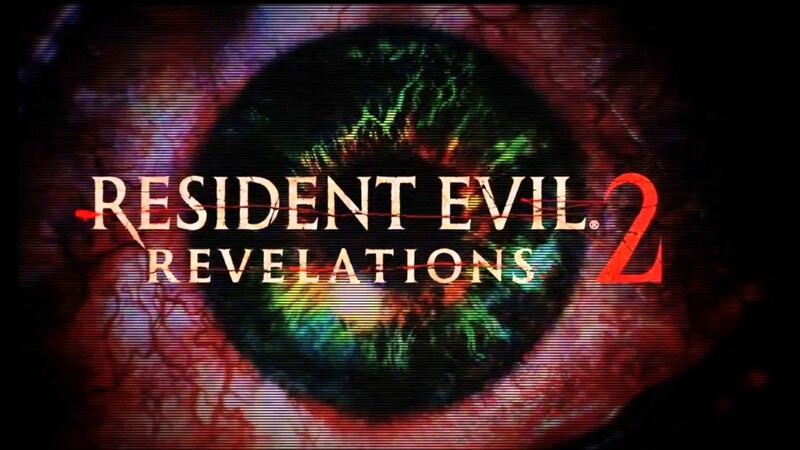 Remember, though, that new RE games are coming to PS4 soon, and you should have (still might be ale to) picked up Resident Evil 2 Revelations on PS Plus for FREE. Proudly powered by WordPress Theme: Fixy Child.